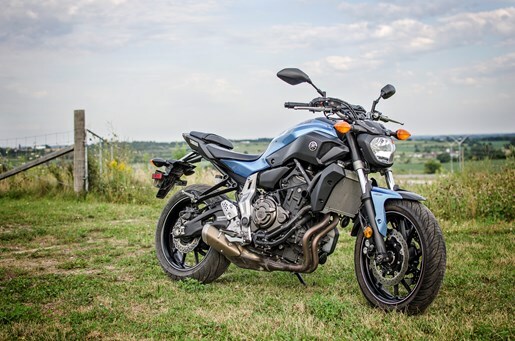 The Yamaha FZ-07(called MT-07 in Europe), with it’s easy handling and abundant torque, brings the fun back into riding. Combined with it’s low price tag of $7,499 CAD, it’s a great value and the motorcycle industry’s best kept secret if you ask me. The aggressive stance, the beautiful “Pale Metallic Blue” (I call it semi-matte sky blue) and mechanical look come together beautifully. 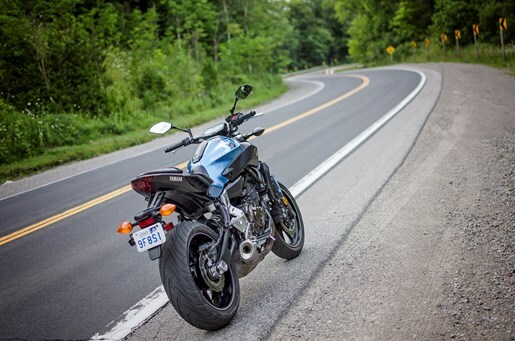 It’s hard to classify the style of the FZ-07: It’s not a streetfighter, not a supermotard, so I’ll just call it an Urban Assault Motorcycle (more on this later). Being naked, the exposed engine is pleasing to the eye with hoses and cables part of the design, not looking out of place. There is a lot of attention to detail too: blue accents on the brake discs, matching black textured panels and a carbon fibre look on the fender. The beautifully curved exhaust and surprisingly effective muffler complete the look. The only negative about the styling is the bulbous headlight which looks out of place - something more modern (for example with LEDs) or aggressive would match the look better. The exhaust note’s growl is aggressive but not angry, and not too loud. This bike is unique and definitely a head-turner. 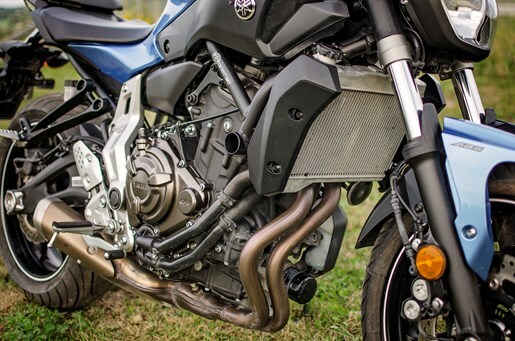 The beautifully curved exhaust and surprisingly effective muffler complete the look. The only negative about the styling is the bulbous headlight, which does look out of place—something more modern (LEDs, for example) or aggressive would be better suited. The exhaust note’s growl is aggressive, but not angry, and not too loud. This bike is unique—and most certainly a head-turner. Its minimalist design doesn’t pack a lot of creature comforts like wind protection (let alone adjustable windscreen), comfortable seats, hard luggage, heated grips, cigarette lighter adapters, cruise control, etc. Lacking as well are features such as traction control, engine modes, and adjustable forks, all which can be forgiven at this price point. 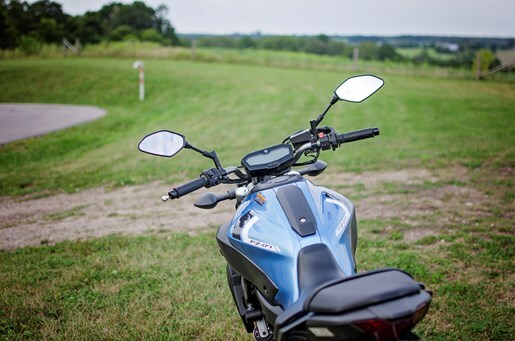 The riding position is comfortable with the foot pegs directly below the seat and slightly high for increased cornering clearance. 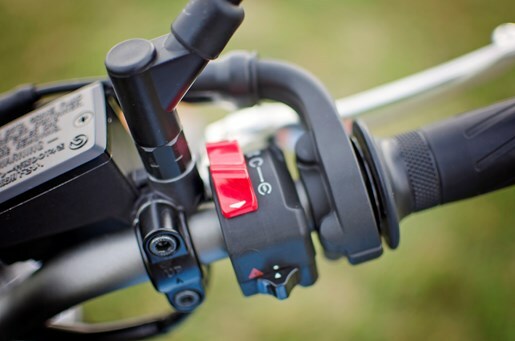 The handlebars are easily within reach: not too high, not to wide. For reference, I am 5’7” with a 28’ inseam, and my heels were close to touching the ground (the claimed inseam is 805mm or 31.7”). 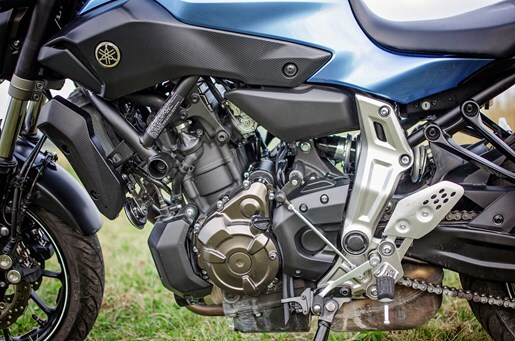 The 689cc inline twin engine produces 6.9 kg-m (50 ft-lbs) of torque and 74 HP which on this 180 kg (397 lb) bike, feels beefier than the numbers imply. 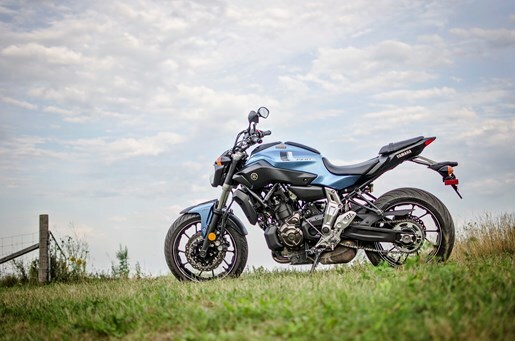 Yamaha has done a great job minimizing engine vibrations as they were not noticeable on the handlebars or foot pegs, and mirrors provided sharp images. Lightweight and narrow with a low centre of gravity, this bike is instantly confidence inspiring. And with gobs of torque, it can get you going as quick as you like! I don’t want to say this is a hooligan bike but let’s just say the front wheel seems to have less gravity on hard acceleration. This bike has no problems keeping up with sport bikes until wind resistance becomes a factor. 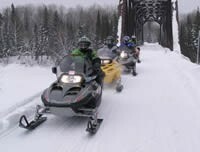 I had the opportunity to test this bike over 3 days in the Highlands region of Ontario. This area is known for it’s sweepers, some tight twisties, and some bumpy/patchy roads. 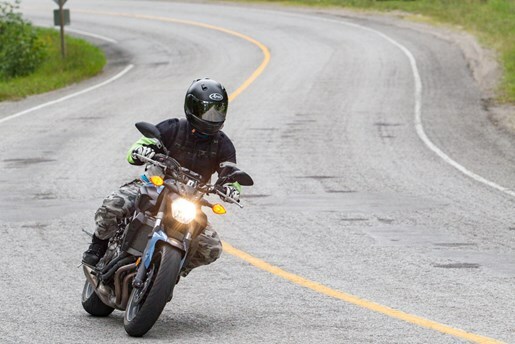 The FZ-07 handled every curve so well, it was a matter of how brave I was willing to be! It even comfortably soaked up all but the biggest bumps in the road. However, bumpy curves at speed were unnerving as they made the handlebars twitch, due to the short geometry and light weight. I noted when I was riding at a sport pace, I found myself leaning forward to put more weight on the front wheel for acceleration as well as cornering. 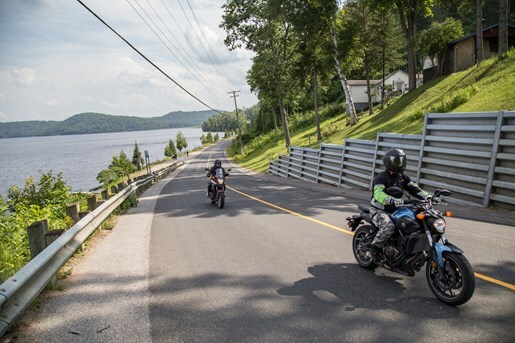 The Michelin Pilot Road 3’s provided plenty of grip and neutral turn in. 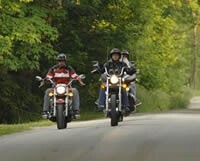 More aggressive rides may opt for full sport tires. The brakes were very effective – little effort was required to stop. However, I did find the ABS seemed a bit sensitive on the rear brake. 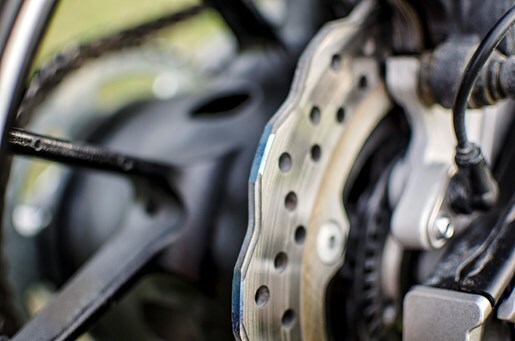 The short geometry and low center of gravity however allowed for easy and tight low-speed turns making it perfect for the sport of Moto gymkhana. Average fuel economy was amazing at a calculated 4.0 L/100 km with moderately conservative riding on country roads (no 400 series highways). There is also an “Eco” indicator on the dash to let you know the engine is running at high fuel efficiency. The natural environment for this bike would be in the city which is why I call this an Urban Assault Motorcycle. 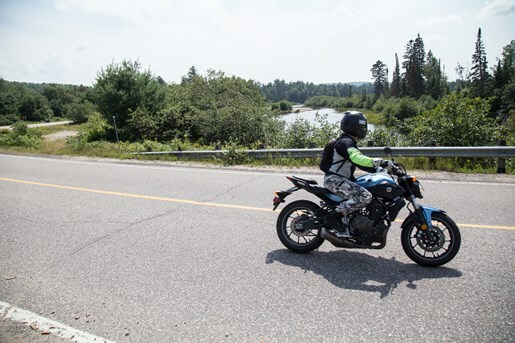 With it’s light and narrow frame, quick handling and instant acceleration, the FZ-07 could fit through the smallest of gaps between cars, easily carving through traffic. It is also easy to hop on and go as opposed to a large heavy bike like say, the VFR1200X. 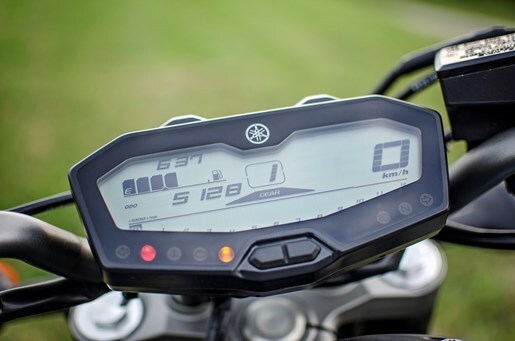 The dashboard is simple with large readable numbers. 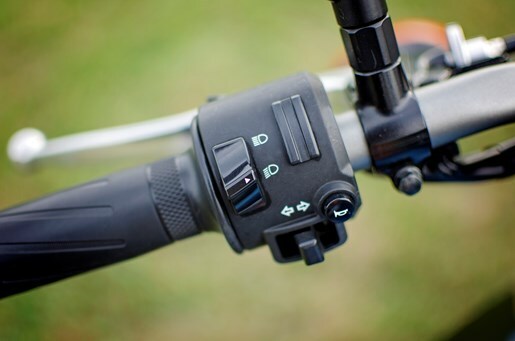 The left Handlebar cluster has your standard buttons including a passing switch on the front. I do wish the horn button was larger. 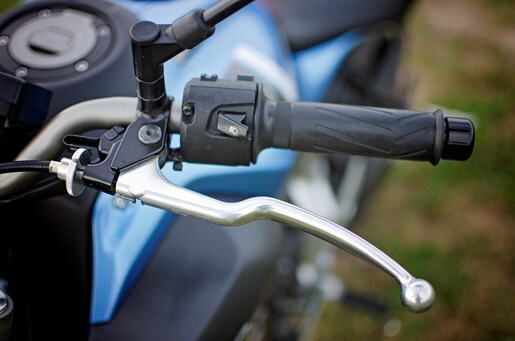 The lightning bold shaped levers are more comfortable. There are lots of options if you’re looking at a middleweight naked bike: Ducati Monster 797, Suzuki SV650, Honda CB650F, Kawasaki Z650 or Z900, Aprilia Shiver 750 and Triumph Street Triple. 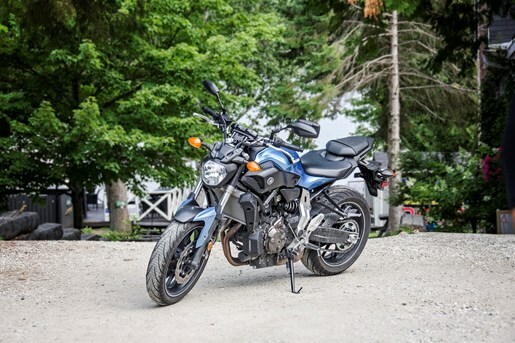 The FZ-07 is fun, good looking, handles well and is affordable and should be on your list especially if you live in the city. 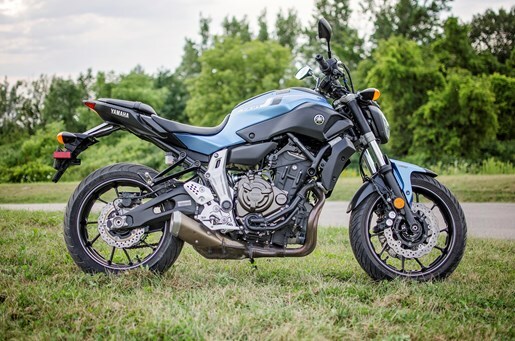 Yamaha FJ-09 Ride it like you own it!